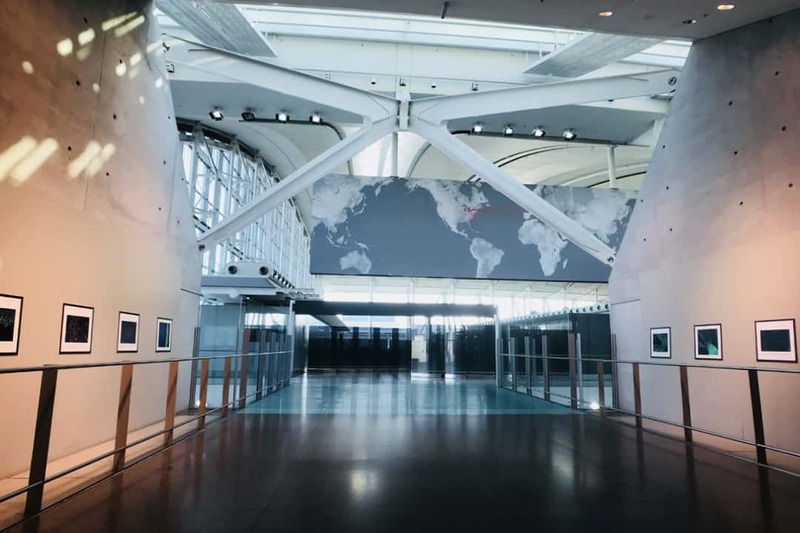 The Terminal 1 Departures check-in area at Toronto Pearson International Airport underwent a makeover earlier this month with the arrival of the Artful Science exhibit, on display now until the end of this year. Curated by the University of Toronto and the Centre for Commercialization of Regenerative Medicine (CCRM), in collaboration with the Stem Cell Network, laboratory images from scientists across the country were selected by the Department of Ambiance and Aesthetics, Greater Toronto Airports Authority. The exhibit features images from cutting-edge research, from quantum mechanics to stem cells, inviting millions of passengers who are travelling through the airport to experience the beauty of scientific discovery that scientists witness every day. “As a scientist I have always found that science is beautiful regardless of whether it is a picture, a bar graph, or an idea,” says Blair Gage, a postdoctoral fellow from the McEwan Centre for Regenerative Medicine, whose work is featured in the exhibit. The exhibit distills complicated concepts into works of art, and encourages a curiosity that is satiated by examining the work in greater detail and learning about the research behind each image. Gage’s contribution to the exhibit is an image he created during his time as a graduate student in The Kieffer Lab at the University of British Columbia. 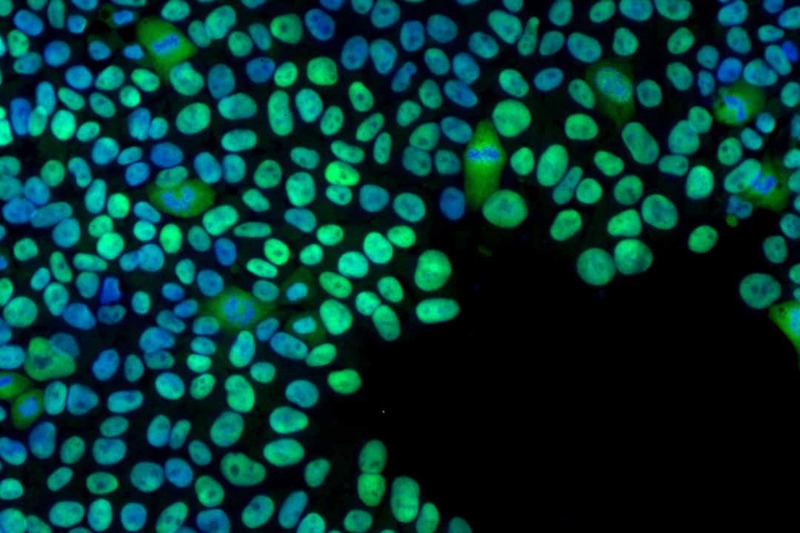 Reminiscent of a brightly-coloured piece of abstract art, Gage’s image shows a small group of stem cells that have the extraordinary ability to become any type of cell in the body. Gage is interested in how these cells can be used in treatments for a number of diseases — for example, diabetes — by promoting tissue repair in the body. To Gage, stem cells stir up a curiosity that inspires his research. These questions are shared by the scientists featured throughout the exhibit, many of whom are also researching novel uses of stem cells in medical fields. While images like Gage’s may be commonplace to scientists in the field, they often aren’t as accessible by members of the public. This is the premise behind the Artful Science exhibit: inviting passersby to engage with scientific research. In the case of Gage’s and other stem cell images in the exhibit, this involves looking at cells through a microscope and using coloured molecules to distinguish different types and parts of cells, leading not just to vibrant works of art, but also allowing scientists to better understand the images under their microscopes. By putting methods used in scientific research on display, Gage and other researchers across Canada hope to inspire an array of audiences. Many of the images appearing in Artful Science come from Cells I See, a competition for the public to choose their favourite stem cell image. This year’s contest runs until October 17 and voting is available on the CCRM’s Facebook page.